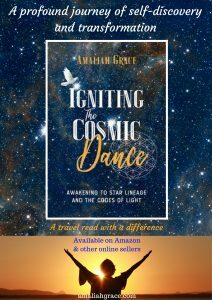 Amaliah’s memoir is a profound journey of self-discovery and spiritual evolution, which unveiled her soul’s mission and connection to the cosmos. Throughout her story, she courageously faces her fears, reveals her vulnerability and strengths as she dynamically changes her life. A travel read with a difference, a must for any spiritual seeker. After a profound cosmic experience in England, Amaliah courageously left her partner to pursue her quest for spiritual truth. Journeys to the Bahamas and then to Argentina and Peru followed. Shamanic ceremonies in Peru led to an opening, expanding and fully connecting with the Cosmic Mother and the Universal Star Matrix, transforming Amaliah into a channel of ancient healing songs in the language of light. 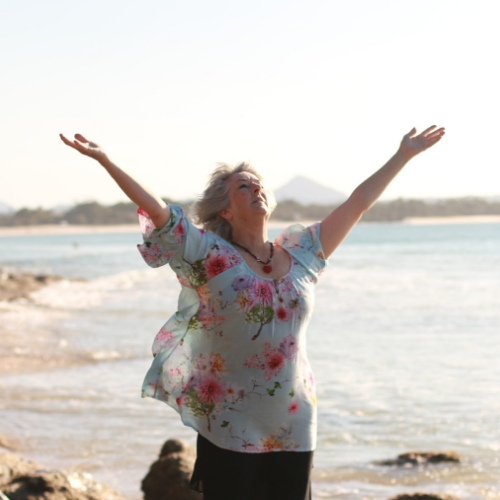 Further journeys to America and central Australia deepened her healing knowledge and clarified her soul’s mission to facilitate the return of Divine Feminine Consciousness to Mother Earth. Her channelled sound weaving now unlocks dormant codes within DNA and the earth, shifting vibrational frequencies and contributing to personal and planetary evolution. It reveals Earth’s connection to the ‘Star Matrix’ through sacred geometry and the creation of a Cosmic Dance of Peace and the birth of a Template of Oneness. 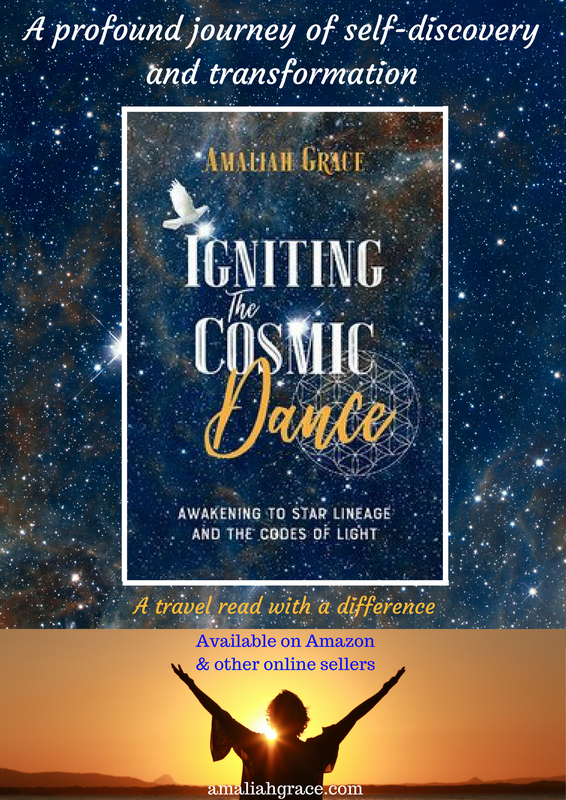 Igniting the Cosmic Dance: Awakening to Star Lineage and the Codes of Light is a great adventure story, of one human being’s spiritual awakening. It chronicles the beginning of our period of planetary awakening through Amaliah’s personal challenges and triumphs over the past 40 years. It carefully details family and professional history and life changing travel to exotic locations, ceremonies, initiations, channeled information and healing exchanges with friends and fellow lightworkers. It brought up many memories and new insights for me. After a midlife crisis in my 40’s, I became fascinated in the potential of metaphysical healing to create change. Self-taught in crystals, healing and meditation I received medium-ship training through a spiritual church. I became attuned to` my guides and the Great White Brotherhood often experiencing the grace of the Divine. I raised my vibration to channel typing blindfold and later studied Holistic Massage, Reconnective Healing ™, Light Language™, Psych –k™ and Alchemical Healing for my healing practice. After much work to raise my vibration and a transformation journey in Peru, I became a light language sound channel, of ancient healing songs, channelling a Goddess vibration from the Star Nation Sirius. When you invest in this book you will receive several gifts to download. 1. The Galactic Heart Meditation, a guided meditation out into the cosmos through a Gateway of Oneness to release the old parts of yourself. 2. Three of Amaliah’s most popular sound streams for healing and balance. Blessings and love from the Cosmic Mother. Buy it on Kindle as an EBOOK ON AMAZON. Buy the paperback book from Amazon within your country. NOTE: Amazon Australia has included the price of postage within the price of the book and added $18 to the cost. The real price of the book is AUD $30. They indicate FREE POSTAGE but it isn’t. BUY HERE BELOW for Australia only. Book $30 plus $11 postage. SUNSHINE COAST of Australia buy from Annie’s Books on Peregian, Sandy Pages in Coolum Beach and Noosa or Berkelouw Books in Eumundi and The Bookshop at Caloundra. BRISBANE from Avid Reader Bookshop and Ecclectica in Boundary Street, West End.